On Wednesday my grandson wanted to come over and hang out in the evening. I told him he could, but he had to help me cook for Thanksgiving Dinner which was the following day. He thought about it and said he would help. This came as a shock to everyone, he never wants to help. But Wednesday evening when he got there, he was ready to work. His job? 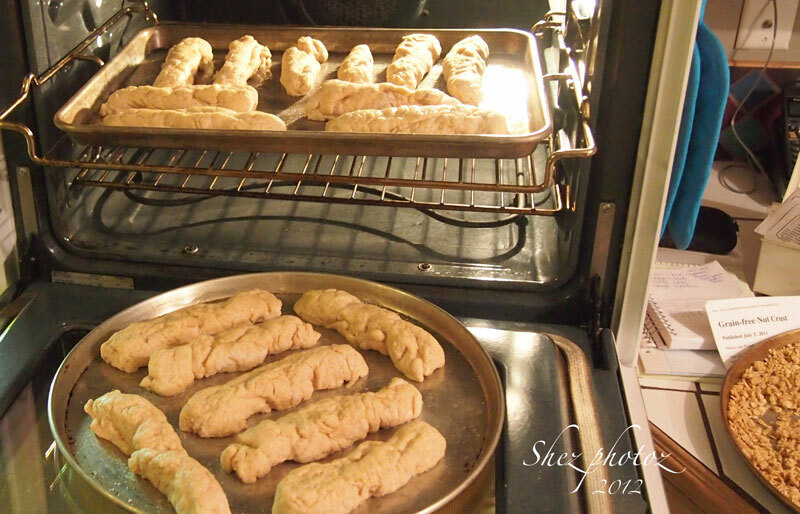 Make bread sticks from scratch. When it was ready to turn onto the board to knead is when I remembered to grab my camera to document this event. 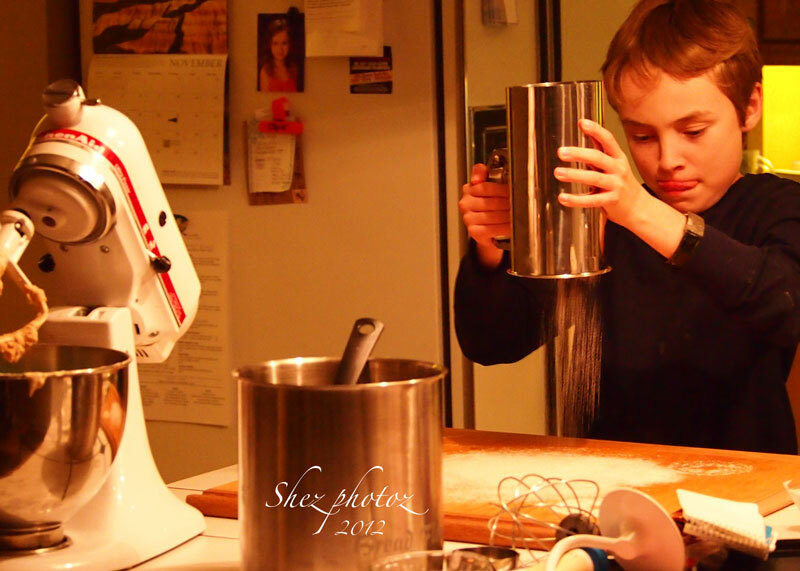 Dusting the bread board, concentration on getting it just right is evident by his tongue. 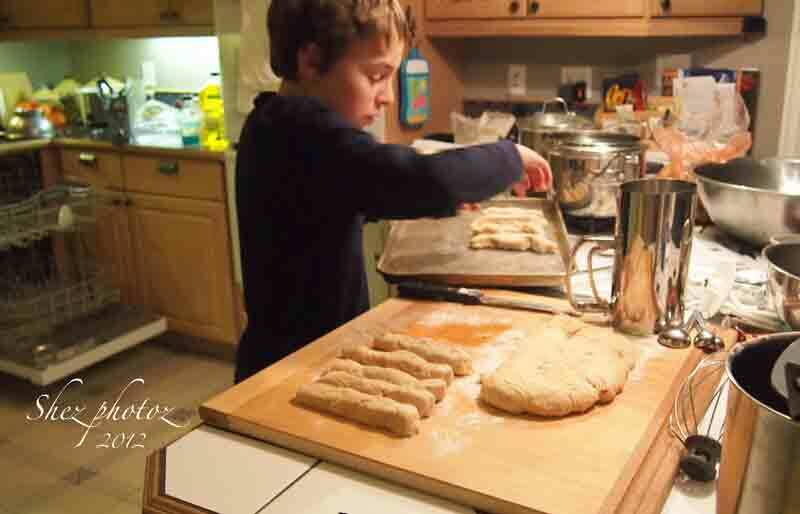 Kneading the dough, gently squash it down, turn and fold. The dough was put in an oiled bowl, covered with a towel and placed in a slightly warm oven to rise. 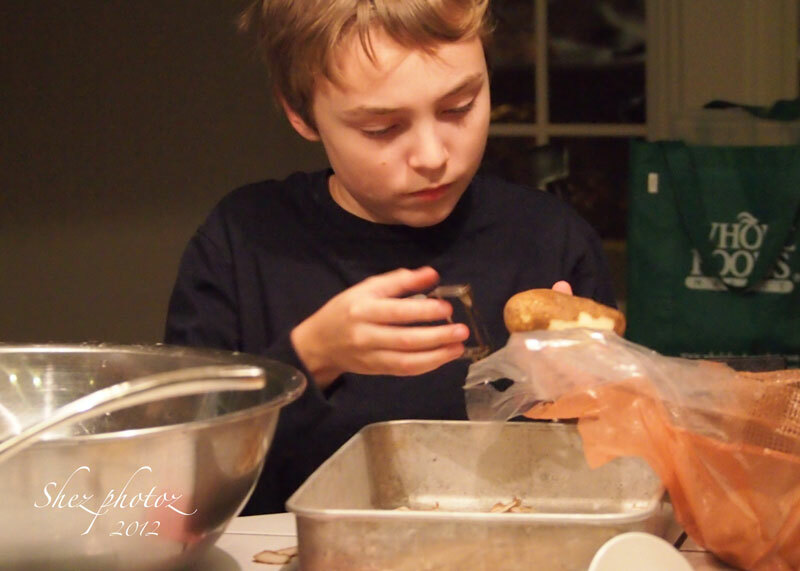 While we waited we moved on to peeling potatoes. A pan for scraps, a large bowl filled with ice water for the potatoes. His enthusiasm for peeling waned fairly quickly but he hung in there working until the bread had risen to the top of the bowl and was ready for the next step. 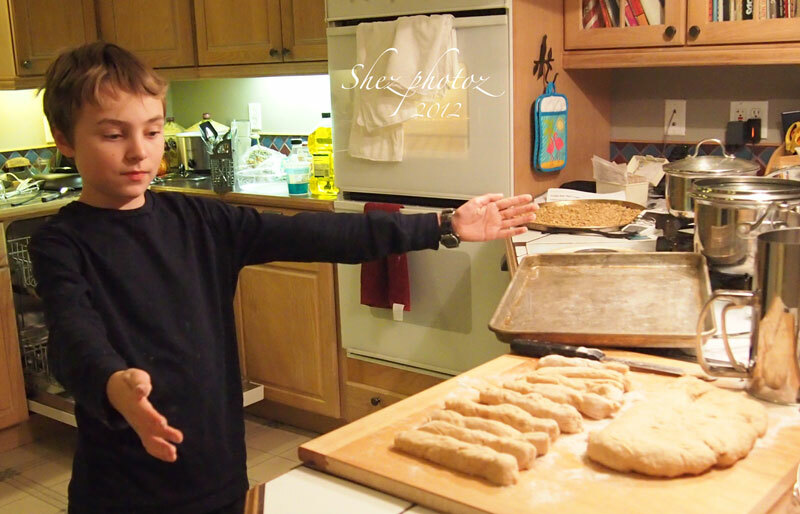 Turned out on the floured board, Hayden punches down the dough. 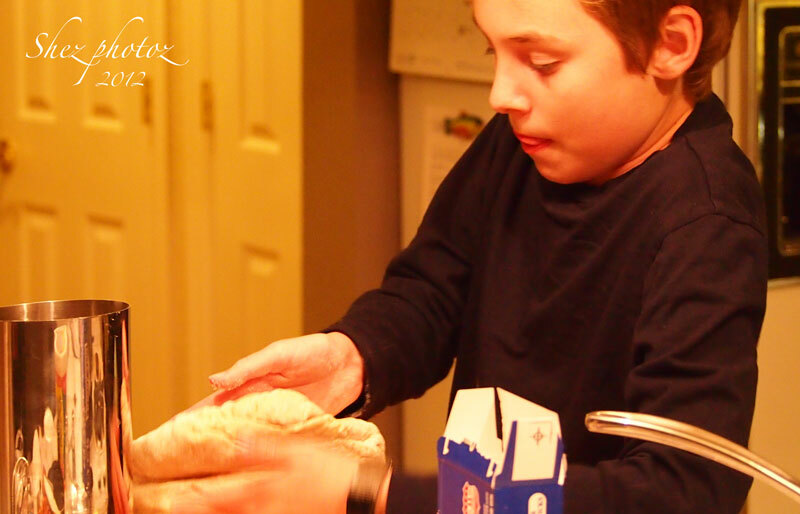 He was so surprised at how soft and tender the dough was. 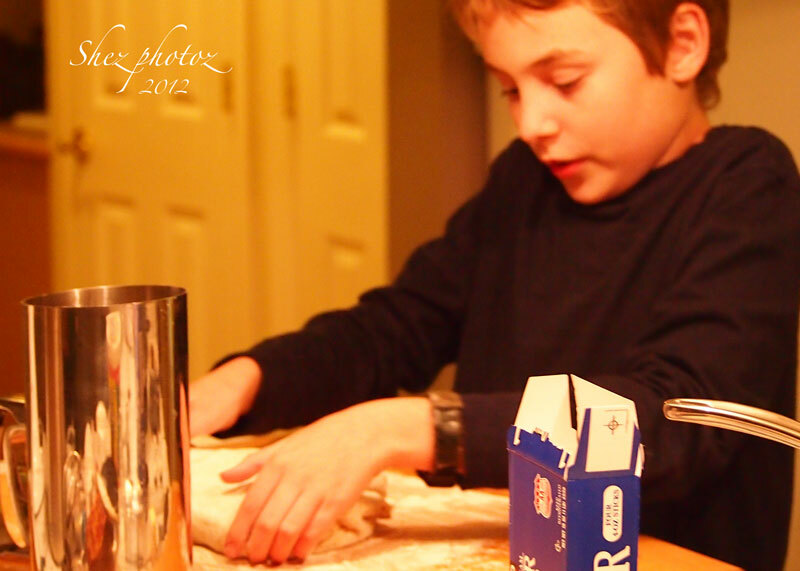 Again a lot of concentration as he flattened the dough. Marking the sections into equal sizes for cutting and shaping. The first half of the dough is cut, shaped and ready for the baking pan. A Ta Da moment for Hayden. He wanted a commemorative photo of the event. 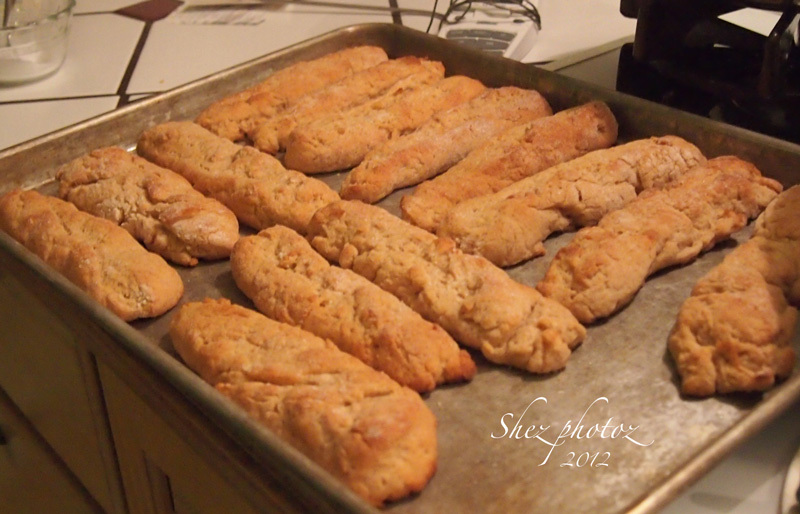 Laying the bread stick dough onto the pan. The second half of the dough has been measured, cut and shaped and is on the baking pan. Hayden is brushing melted butter on the top of each bread stick. Adding a sprinkle of salt. Into the hot oven they go. 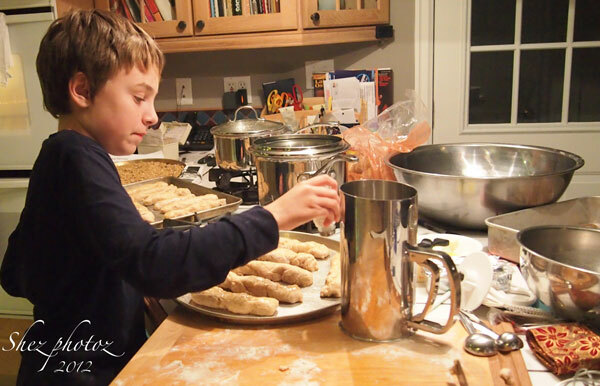 Our young baker had no confidence in pot holders keeping him safe. 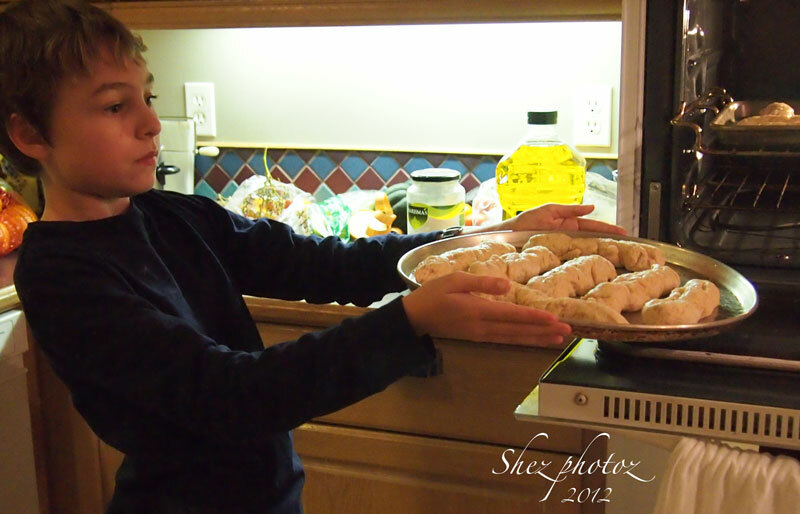 At this point he set it on the door of the oven and told me to put them in. Next time we will not do gluten-free. He will be experienced and not intimidated by getting them smooth. 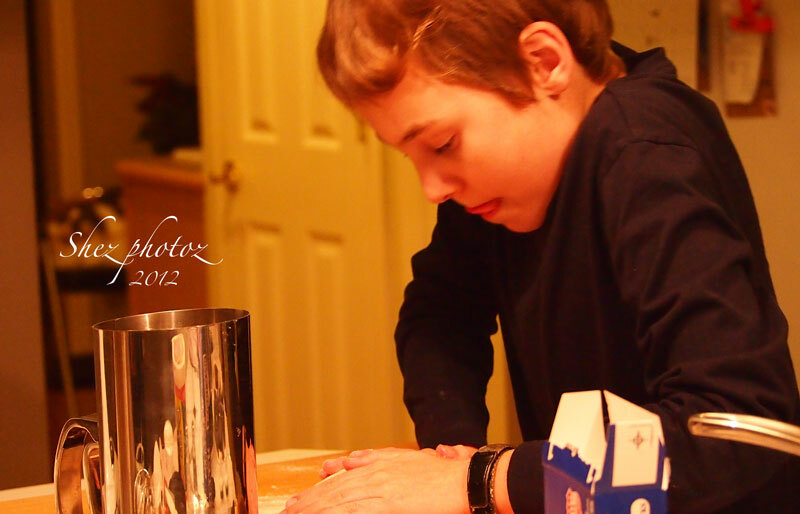 I was so proud of his enthusiasm and his “I CAN DO IT” attitude, I simply let him roll. Thanks, Hayden for your help. 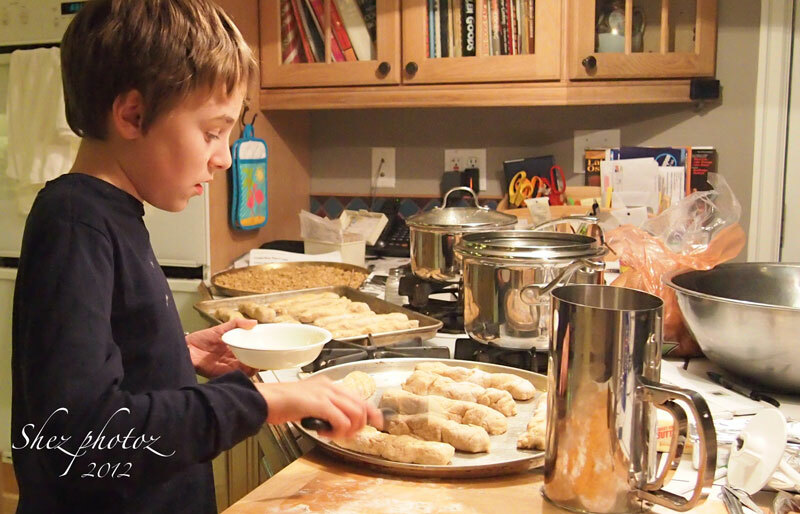 PS When he arrived the next day the first thing he wanted to know was had I posted the photoz to prove to everyone he had actually “made the bread sticks all by myself.” So here you go Hayden, proof you actually made them all by himself. You Rock, Buddy. Thank you so much. Yes, indeed it was special. My grandson is special, he is an Asperger child and the most amazing person I have ever had the privilege of working with. And mind you I think every child is amazing. Being an Aspy, Hayden remembers everything by day and date even the weather going back several years. He has a ready smile and a killer sense of humor. He’s great fun. Thank you so much Cecilia. 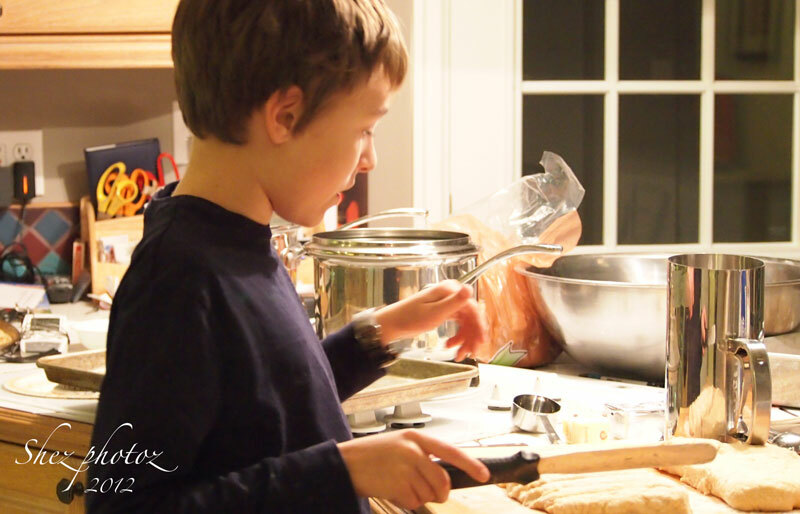 We usually do have a great time together …he is an Asperger person and they can take special care and feeding 😉 It’s all worth it, he’s the most amazing kid I’ve even had the please of spending lots of time with.